5:15AM seems to be a time I can’t quite get away from. When my alarm went off Saturday morning, I was not enthusiastic about getting out of bed. But, I reminded myself I was going to get to see the wetland at the VW plant here in Chattanooga in exchange for getting up at this ungodly hour on a Saturday and rolled out of bed. The drive to the VW plant was about a 25 minute drive with no traffic. I was surprised that many of the transplants from Germany live in my building–seems like a long way to go twice a day. But, then, I guess driving around the block seems like a long way to go to me. Due to a road closing, we had to meet at a back entrance and then share rides with those who had trucks to get into the wetland. We were hosted by the VW environmentalist. She exuded pride in how environmentally friendly VW is, but the healthy wetland, bordered by a field of solar panels, spoke more loudly than she did. At my Friday morning yoga class, I’d mentioned to one of my fellow students that I was going to the VW wetland the next morning. He told me that his mother had worked at the same site when it was a TNT plant some 40ish years ago. He told me that when she went to work, she had to take her pantyhose off and pack them tightly into a plastic bag or the hose would literally dissolve from the toxicity in the air. I cannot imagine going into a place every day to work where nylon is dissolved in the air. This makes an amazing contrast to the site today. I don’t know what cleanup efforts took place between the days when gun powder was made here and today, but I do know that wetlands act as kidneys. They help strain out the toxins in an area and prevent them from getting into the larger water system and polluting streams, rivers, and even oceans. 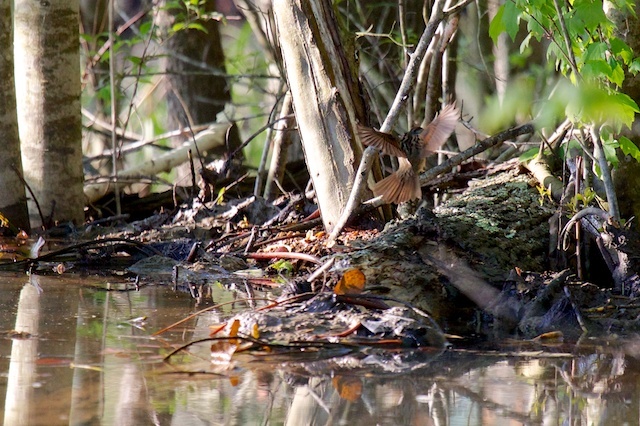 The loss of wetland has been a major contributor to the loss of aquatic life and clean water. Fortunately, VW treasures their wetland and makes a great deal of effort to maintain and protect it. It’s green and pulsing with life. 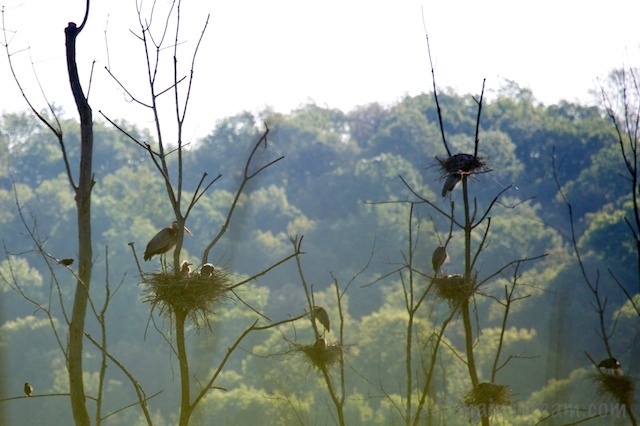 The Great Blue Heron have discovered this area and built a rookery here. I remember the first time I saw a rookery a few years back. It was the most amazing discovery to me that these giant, awkward birds that look like they couldn’t perch on a 2” wide beam build stick nests in the tops of trees. 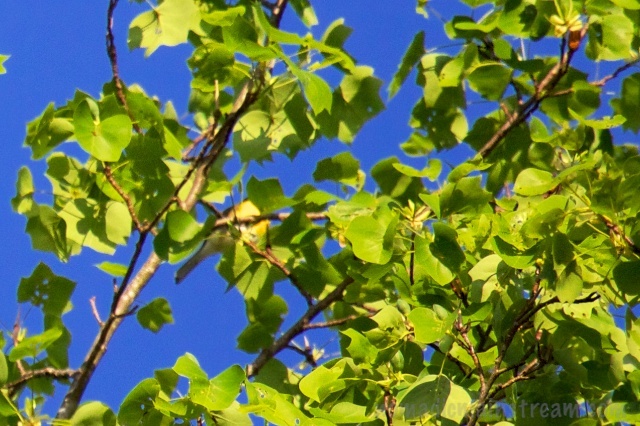 That they do so in groups where there may be dozens of nests all in the same group of trees makes their nesting habits even more interesting. 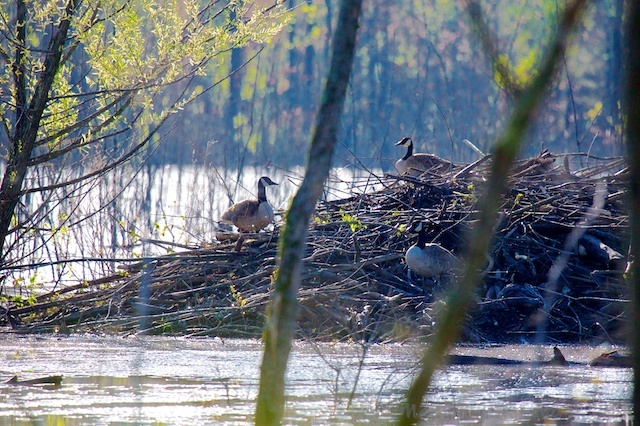 A normally solitary bird that joins to form a village each spring when it’s time to nest, looking like a miniature village of Pterodactyls–it’s fascinating. 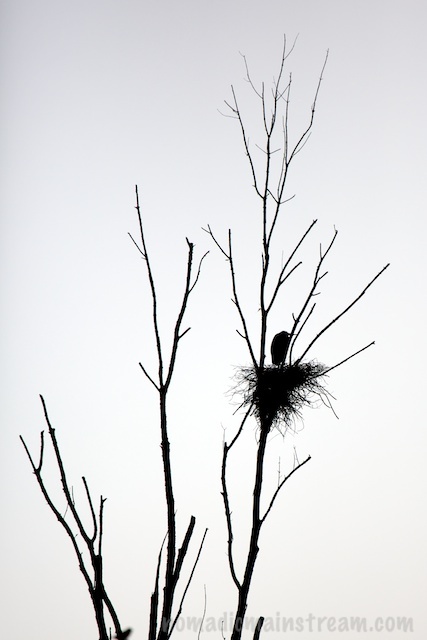 This entry was posted in Birding, Chattanooga, Photography and tagged Bird photography, Chattanooga Tennessee, Great Blue Heron Rookery, Volkswagen, Wetland. Bookmark the permalink.